As is well known, according to the Minsk protocol, the territories of Donbas, which are currently controlled by Russian troops and terrorists will receive special status within a united Ukraine. Representatives of Kyiv are already talking about the demarcation of the territory along the conventional “line of defense” of Ukrainian troops, and its engineering securement. 1. The “overoptimistic” scenario, in fact, derives from the Minsk protocol and reflects the desire of official Kyiv to resolve the conflict peacefully, without any further armed confrontation. It is to provide for: “special areas” (in other words, those that are de facto occupied by Russian troops and ruled from Moscow by gangs), special powers to local authorities as part of the decentralization of power (according to the text of the protocol, as a temporary measure); “bribery” of the local population, “the economic recovery and the recovery time of the Donbas region;” as well as taking control of the state border with Russia in these areas, even in the format of a “security zone” with monitoring and verification by the OSCE. The main drawback of the plan for this scenario is quite obvious: it truly reflects the aspirations of the majority of the population of Donbas, but not the leadership of the DNR and LNR [the so-called Donetsk and Luhansk People’s Republics] and–most importantly–Moscow. Since in this case it becomes unclear, for what Putin initiated and strongly fanned the fires in Donbas, spending many resources, and bringing foreign policy and economic losses. In this scenario, it becomes impossible for the Kremlin to perform the main operational and tactical task – taking control of these areas, with their subsequent use for the execution of two strategic objectives: the capture of the “industrial” areas of the East (Kyiv-Kharkiv-Zaporizhia) and taking control of the South (Odessa, Kherson, Mykolaiv) to ensure the viability of Crimea. For which, in fact, Putin initiated the conflict. And so the reality of this scenario, although objectively it’s the most acceptable – is in serious doubt. 2. The “optimistic” scenario is to use the truce to perform two tasks important to Kyiv, with a further continuation of hostilities. The first task – is political. To begin with, it is the conduct of elections to Parliament against a political background more or less favorable to the Ukrainian authorities (this background can easily disrupt the mass mobilization necessary for the conduct of further hostilities), with simultaneous demonstration to the international community of Kyiv’s focus on peace, but with the constant disruption of peace agreements by Russian-terrorist forces. The continuation of fighting by Kyiv after a long pause, in this case would be totally understandable: how can we talk about peace when it is only observed by the Ukrainian side? The second task – is, so to speak, “organizational–mobilizationary.” It consists in solving the main problems of the Ukrainian troops: the creation of the necessary reserves to conduct a new stage of mobilization, as well as carrying out the regrouping of forces, resupply of units and personnel, problem solving support for the OVT (weapons and military equipment) troops. After completing these tasks, Kyiv can hold active offensive operations, clearing the Russian troops from the territory of Ukraine and eliminating local terrorist groups. 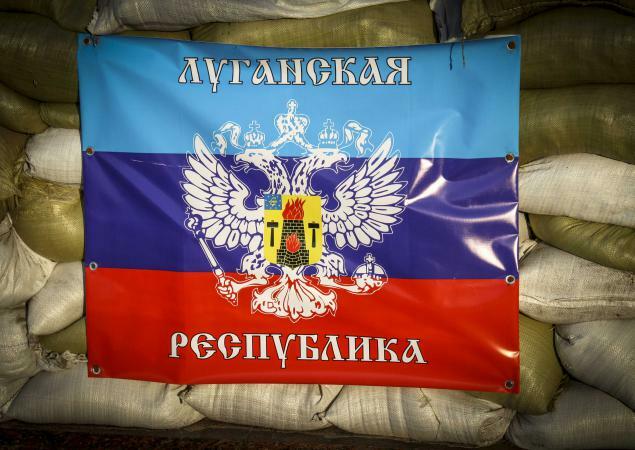 c) a long truce allows the LNR and DNR to actively pursue measures toward a factual “conclusion” of the occupied territories from their composition within [a unified] Ukraine: according to our IR group’s data, already today in a number of settlements in the Luhansk and Donetsk regions Russian rubles are being imported and issued into circulation, a mass “replacement” of Ukrainian passports with the payment of a money “premium,” is already being prepared, etc. It is understood that the population of the occupied territories have massively lost earning assets, and for a paltry sum are ready to recognize any authority and take any nationality. It should also be borne in mind that in addition to the negative side, there are pluses to the current truce (though their wording may sound quite cynical): Russians and terrorists are clearly trying to grab all they can, in the event of a short duration of their control of the occupied territories. In particular, there is a massive export of coal from Ukrainian mines into Russia – then, as already noted a prohibition on coal sales to the local population by the terrorists’ managers (which, of course, causes the latter to ask how to survive the winter?). This “activity” of the terrorists further exacerbates the negative attitude towards them by the locals, which certainly plays into the hands of Kyiv. 3. The “pessimistic” scenario is a complete loss of control by Kyiv over the occupied territories, the freezing of the conflict and the withdrawal of these areas of Donetsk and Luhansk Oblasts [regions] under the control of Russia (the “Transnistrian” scenario). Unlike Transnistria, as we pointed out earlier, in and of themselves, the occupied territories are not necessary to Putin – they are needed only as a springboard for further aggression against Ukraine. So, “freezing” of the conflict can be very short-lived, and will not bring the desired peace, even with a consent from Ukraine to part with these areas. To prevent further aggression Ukraine will have to create an actual front line along the border of the currently occupied territories, maintaining a significant military contingent here, which will conduct permanent warfare. In this case, creating a “security zone” along the border areas with the RF [Russian Federation] looks very doubtful. In any case, these “special areas” under this scenario will become a time bomb and a hotbed of conflict on the territory of Ukraine. Which of the three scenarios will happen – it will be clear in the next few weeks. In any case, a great deal at the same time depends on the position and actions of the Ukrainian authorities. 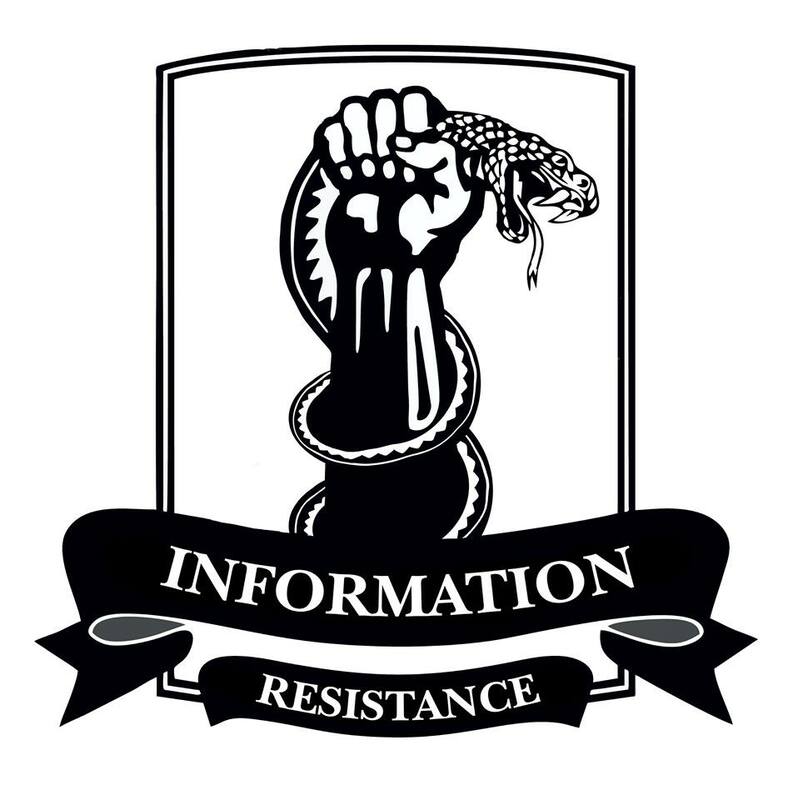 This entry was posted in Analytics, Dmitry Tymchuk, English, English News, South&Eastern Ukraine, War in Donbas and tagged #ArmUkraine, #RussiaInvadedUkraine, #RussiaViolatedCeasefire, #SaveUkraine, #UkraineUnderAttack, Dmitry Tymchuk, Information Resistance. Bookmark the permalink. Ukraine cannot allow the transdnistria scenario. A redistricting of the occupied territories to create a semi-autonomous republic of Donetsk in Ukraine that does not have a say over Ukrainian foreign affairs is probably the only viable scenario if peace is actually declared; if such a scenario is achieved the rest of the territories of Luhansk and Donetsk oblasts still under the control of Ukraine should be reincorporated into a new “Mariupol oblast”. Regardless of the the outcomes; Ukraine needs to spend the current “truce” period training and rearming their military and trying to secure any and all aid they can from NATO countries to help with this process so that if and when the hostilities resume; Ukrainians will be better equipped to deal with the Russian threat.